The neighbourhood of Gare Saint Jean is anything but boring. With a mixed array of tourists, locals, and night life this area has many personalities. 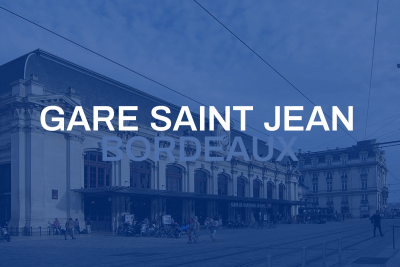 The quarters of Gare Saint Jean, Saint-Croix and Paludate are at the heart of the large urban project with the areas being developed as part of what is known as: “Bordeaux Euratlantique”. With Bordeaux’s main train station finally seeing the end to expansion works at the end of 2017, the Gare Saint-Jean has projected a doubling of the amount of passengers using the terminal. The district also has seen a continuous metamorphosis that aims to shape it into the future business district of the city. Located to the south of the city centre, the area is super well served by the Tram Line C and six bus lines. Historically known as Bordeaux’s red light district, the surrounding area of Gare Saint Jean is still working out who it caters for. With a large array of nightclubs, bistros, restaurant and markets being at the forefront of daily (or nightly) life. The transformation has also seen an amass of new constructions in the ways of apartments and offices alike.